First off, I wanted to apologize for the lack of presence here in the blogger world. I have been really busy with a project at work for the past few weeks, I've been working til 11ish at night or even later, and waking up to get into the office early and working weekends. Hopefully this will all end soon and I can resume my regular day to day schedule and get some stress-free time and sleep. 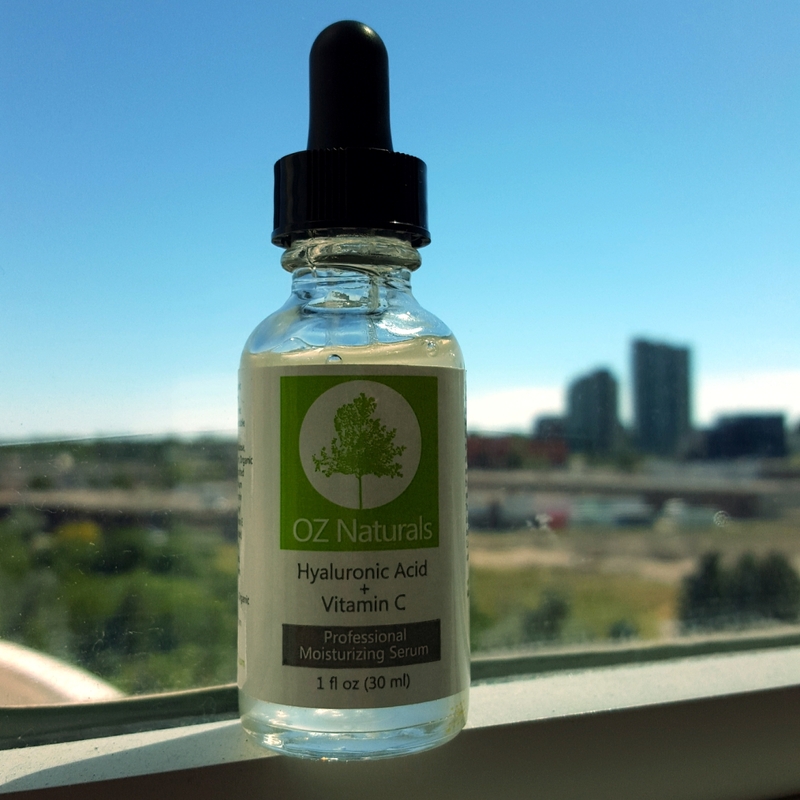 Anyways, onto the post :) I had the opportunity to try out OZ Naturals Hyaluronic Acid and Vitamin C Serum via BrandBacker. 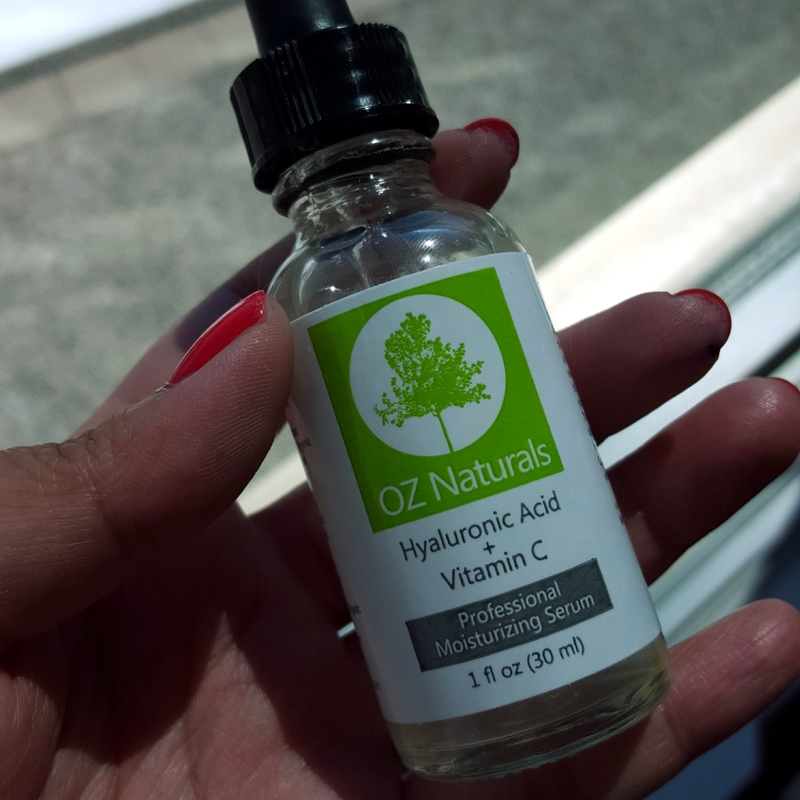 I've been on a kick with products containing Hyaluronic acid lately, just last year, I was scared of trying it because of the word "acid" but in reality, I regret not having tried it out earlier! I gave this product a good amount of time 2-3 weeks to see how it would react to my skin. The ingredients itself are pretty good, starting off with organic aloe, witch hazel and botanical hyaluronic acid. These three ingredients work to restore and repair your skin, to rejuvenate it. 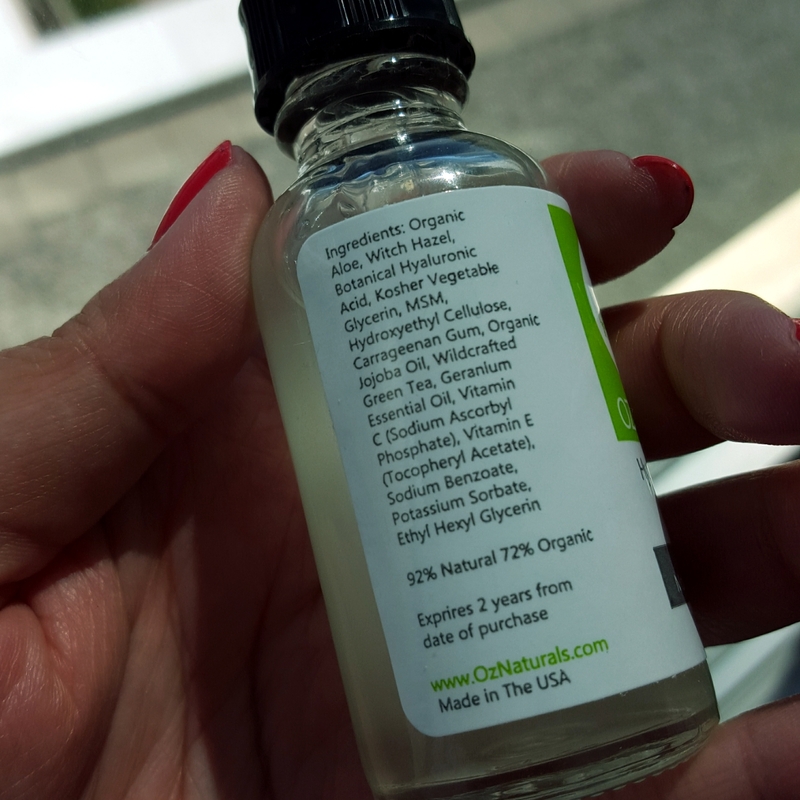 and then later on, you see the organic jojoba oil, green tea, geranium essential oil and Vit C + Vit E. I love seeing some ingredients that I actually recognize for once. I did some research on the benefits of Kosher Vegetable glycerin, and it is said to be an essential ingredient to assist the skin in retaining moisture. The package states to be 92% Natural and 7% Organic - not bad. The only thing that I am a bit iffy about is that the bottle states that it expires 2 years from the date of purchase. It makes me wonder, how this is controlled. I mean, as a consumer, I wouldn't know how long this has been in the warehouse before shipping, I think it makes more sense to put an actual date of expiry. That is my only "con" about this product.